Sometimes I lose a lot of time exploring new techniques. I was just looking for a little tool that could help me creating randomly created music patterns for a new project. 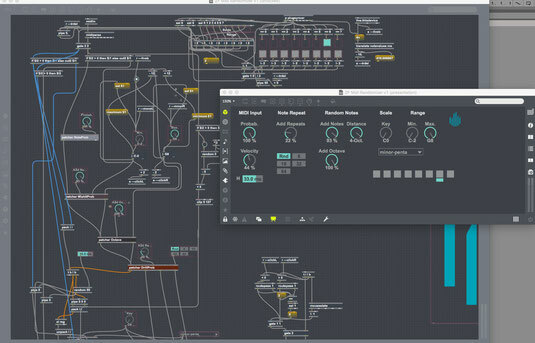 After a long research I ended up building my own Maxforlive patch, stealing patches and put them together. It's definitley not easy to understand MAX but it's definitely a lot of fun. If you want to use my MIDI-Randomizer (Maxforlive patch) for Ableton Live please contact me. It's free.